Master Sgt. Daniel Peters prepares a crown moulding for his house in Biloxi. MSgt Peters is one of several Air Force members whose house was severely water damaged from Hurricane Katrina. 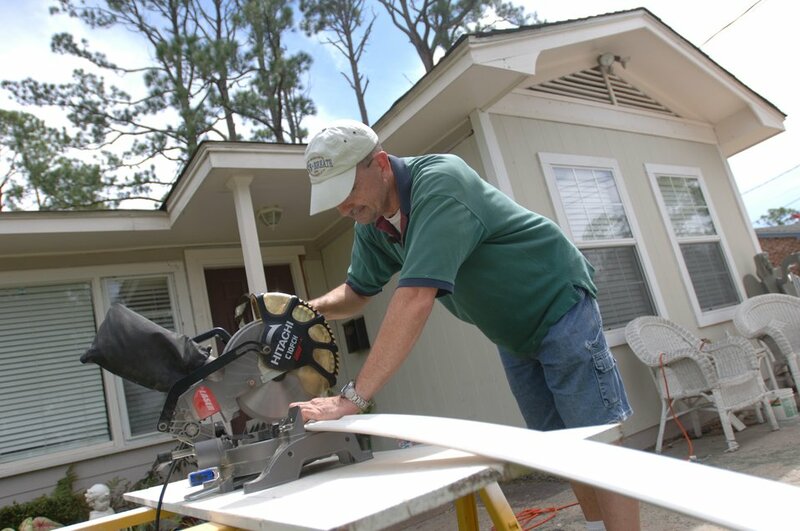 MSgt Peters of the 403rd Airlift Squadron on Keesler AFB, MS has been coming home everyday for the last year to repair his house. US Air Force photo/Tech Sgt. Cecilio Ricardo Jr.